Some people stay all summer long on the idyllic island of Belle Isle, North Carolina. Others come only for the weekends-and the mix between the regulars and “the weekenders” can sometimes make the sparks fly. Riley Griggs has a season of good times with friends and family ahead of her on Belle Isle when things take an unexpected turn. While waiting for her husband to arrive on the ferry one Friday afternoon, Riley is confronted by a process server who thrusts papers into her hand. And her husband is nowhere to be found. So she turns to her island friends for help and support, but it turns out that each of them has their own secrets, and the clock is ticking as the mystery deepens...in a murderous way. Cocktail parties aside, Riley must find a way to investigate the secrets of Belle Island, the husband she might not really know, and the summer that could change everything. 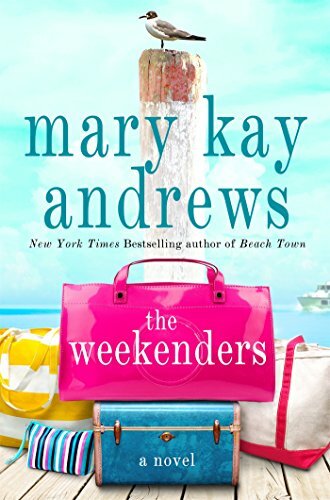 Told with Mary Kay Andrews’ trademark blend of humor and warmth, and with characters and a setting that you can’t help but fall for, the New York Times bestseller The Weekenders is the perfect summer escape.